Home › 2. 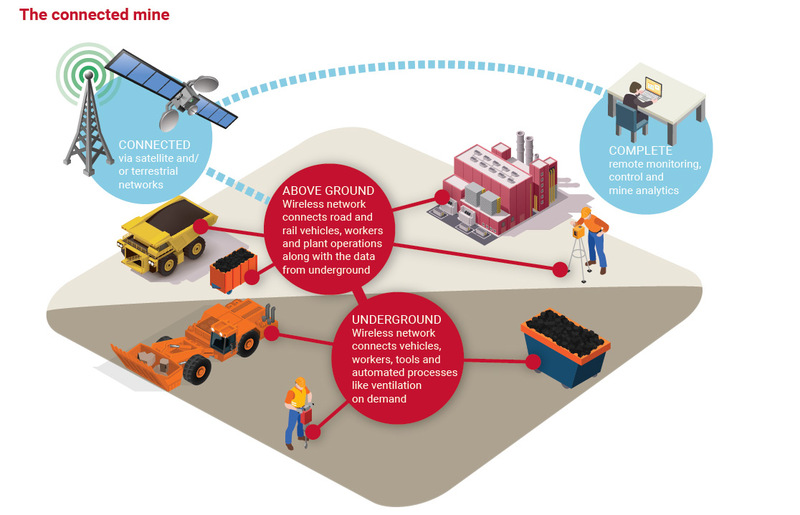 Heavy Equipment › RTLS: Are You Searching for More Answers than Assets? 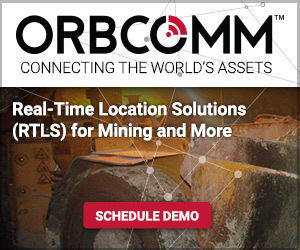 RTLS (Real-Time Location Solutions) can be the perfect complement to smart IoT (Internet of Things) technology, and the ideal solution for locating and managing assets, materials and people within your organization. Not only can RTLS increase production, safety and cost savings, but it provides the visibility and information you need to identify problems before they happen. But now that you’ve found the right technology, what happens next? What if you are left with more questions and doubts about what to do going forward? Or even worse, the company you trusted is no longer around to support your business or the hardware and software you are counting on to work? What if you are overwhelmed with the constant stream of new technologies, processes and IoT devices with ever evolving features and connectivity options. IoT has quickly became one of the most talked about techy buzzwords in the past 10 years. But just like [dot].com, “The Cloud”, VOIP and an endless list of others, it has already begun to morph into whatever it means to the person talking about it. This is what I believe to be one of the biggest problems facing the world of IoT. It can literally mean what you want it to. I personally define it as “a way to get lots of smart things to give intelligent data to the right place in the right format at the right time”. But IoT will likely mean something completely different to you or other colleagues. I am old enough to remember the days of the battling VHS and Betamax tapes. Gen Xer’s saw a similar battle with DVD-HD and Blu-ray. Today I see a similar battle with ICT giants fighting to establish a clear standard for the Internet of Things and the smart edge IoT devices in it. This battle may likely never see a clear winner before the next big thing comes along. There are hundreds of communication layers, thousands or RF and wireless connectivity options and millions upon billions of devices communicating across all of these. There are a few industry leaders recognizing this lack of standardization and are changing the way they view IoT. The CEO of Tile, Mike Farley told Forbes magazine in a 2016 interview that IoT is “a too-hyped trend that’s failing to take off”. Depending on your experience just hearing someone say IoT can mean something exciting and rewarding or mysterious and confusing. If you invested in unreliable devices or a company that has shuttered its doors, it can be disappointing and costly. If industry leaders are looking at IoT with a different eye, maybe you should too. Until a clear standard is established or at least a clear direction of what businesses and consumers can expect, I suggest it will be more sensible to look at IoT as an idea or a concept rather than a “thing” itself. This can help you see things closer to the ground and get back to solving real world business problems without getting lost in the hype of something. Over the years I have consulted with hundreds of businesses and clients and if there is one question I have heard more than anything else, it is “what is the best and most accurate way to find my stuff?”. The answer to that question could vary wildly depending on the industry, environment, existing infrastructure or the specific processes or information needed in addition to simple location information. For industries like healthcare that have made big investments in pervasive Wi-Fi networks, a Wi-Fi tag or BLE tag may be the best fit. For other industries with more challenging environments like Oil & Gas or Mining, there may be a blend of aging and leading edge infrastructures in place making the perfect method more elusive. We may end up in the near future with one RTLS tag that does it all. The Raspberry Pi Foundation has announced it has sold over 10 million boards and has released a toolkit to develop IoT uses. Other single board providers like Latte Panda manufactures a Windows 10 based palm sized single board device. There are dozens of other examples of how hardware companies and open source development technology like LORA continue to push the edge device market into new markets and spaces. But we are not quite there yet. So until we have the Lord of the Tags, I suggest a change in the way we look at edge devices and systems dedicated to providing RTLS. The complexity and evolving choices are two-fold. Firstly, we should change how we look at the software and tags/devices. You may have already experienced that most of the software falls flat. It could be a simple app based interface or an expensive investment that locks you in to a limited technology set or requires complex integrations to your other enterprise systems. Reliability and connectivity back to the head office or cloud can add to the complexity. When it comes to RF tags or devices, I have been telling clients for several years now to “Look at your RTLS tags as a tag”. Yes, some do this or that – some are a better fit for telemetry data or provide better accuracy, but a tag is just that – a tag. Active or passive, a tag is simply providing a data point. Making a single sided decision on hardware may exclude you from better and more cost effective technologies in the future. Select the wrong software platform and you may be stuck with multiple third party disparate systems adding to the complexity and risk of failures and downtime. Investing in devices that cannot provide application enablement in the “FOG” or out on the edge device layer may limit the lifespan of your investment as well. A second potential RTLS pitfall is getting hung up on things like accuracy or “real time”. While there are specific use cases where you need near real time or high accuracy, especially around worker safety & proximity, patient care, precision or low tolerance machining or work cell processes, the most valuable information for you may reside in the data. The more data you have, the more value you can extract from it. This is why RTLS should be looked at as a service and not a solution. Just like VOIP, video streaming, Internet connectivity or sensor monitoring, if you can view RTLS as a service that provides a portion of a complete solution, you can potentially eliminate getting sucked into a siloed solution. In what I personally believe is the most important view looking out over the world of IoT and especially in the real time location space, it is the platform that counts. With the right IoT platform in place, the dependency on the perfect edge device is lessened. The risk of being locked into legacy technology is almost negated. Future devices can be added with more ease and confidence and less hesitation or disruption. An IDC market analysis estimated the global IoT market could reach 4.5 trillion dollars by the year 2018. So it is no surprise that everyone is trying to get in the game. But as we have seen in just the past couple of years, many startup companies and even lauded mergers and acquisitions that were industry leaders one day can be gone the next. So how can you trust your decisions today will provide business continuity and investment protection for the future? 1. What is the core business focus and competencies of the firm? 2. What kind of footprint do they have? 3. Do they understand your business? 4. Will you be supported long term? 5. What levels of investments have been made to support reliability and redundancy? 6. How easy can you deploy and train your team on the platform? 7. Was the platform built to support a broad range of connectivity? 8. How easy can you interface to other enterprise systems? 9. Can you easily access and analyze the data? 10. Can the ROI actually be realized? There is a tremendous opportunity for end users and technology companies to make the concept of the world of the internet of everything a reality. Having a platform to support multiple services like RTLS, M2M, remote sensor monitoring and security is a foundation you can build upon. There will be some ugly failures but there will also be some huge rewards and your success story is out there to be had. With some hard work and the right perspective, you can be prepared for the ups and downs. There are already thousands of companies and millions of consumers alike using edge IoT devices to increase efficiency, reduce costs, make people safer and simplify our jobs and our lives. The future is still bright and full of benefits—you just might need to change the way you look at it. Finding the right strategic partner can feel more like a quest to find the companies you don’t want to do business with rather than the ones you do, but when you find someone that cares about doing what is right for you – it will be worth it! Todd Mirzaian is an IoT specialist with over 17 years experience in wireless technologies and communications. This includes over 9 years specializing in large scale RTLS/RFID deployments across multiple industries in heavy equipment manufacturing, aerospace, energy and harsh environments like oil & gas and mining.